Knee Sleeves are a favourite item for weightlifters and athletes alike. They are ideal for keeping joints warm and well lubricated to prevent injuries. Also, the best knee sleeves provide extra support unlike their competitors in knee wraps. The best question to ask is which the best knee sleeves for the best results are! Below are five short reviews of my favorite knee sleeves. Hope they will help you along on your choice. The Rehband 7mm provides its users with a safeguard when lifting weights and squats. It prevents knee injuries down the line. It offers support and added strength. The experts say you should know how to squat before using this sleeve. Good form is best for this sleeve. 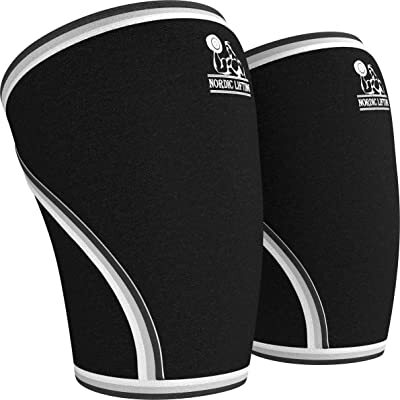 This pair of knee sleeves by Nordic Lifting provides injury relief, warmth for joints and it reduces patella movement for maximum support. The width of this sleeve is 7mm. It is best for weight lifting and cross fit. This pair is endorsed to be for both men and women, which is unique compared to others in which are more geared towards men. This particular pair comes with a one year guarantee from Nordic. 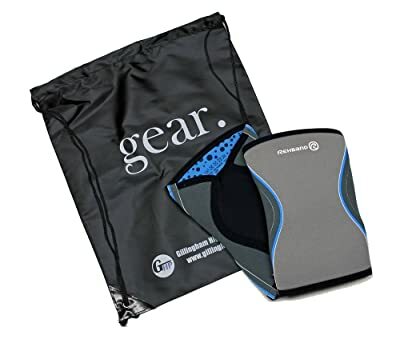 These specific knee sleeves come in two different sizes: 5mm and 7mm. The 7mm provides more warmth and additional support. They are supposed to be quite tight to keep the knees warm and prepared for the users’ next rep. This certain brand provides additional support to the knee and they do not slide down as opposed to other competitors as the inside sticks to the skin like tape. The length is longer as well going about half an inch below the knee. Coming in two different widths allows you to think about what they need them for more, squats/weightlifting or running/physical exercise. 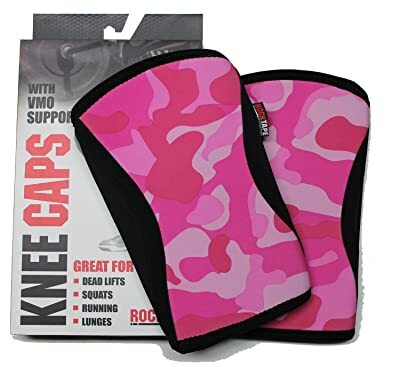 Rocktape also sells their knee caps in a pair of most sites. This specific knee sleeve, the 7751, is 5mm thick. They are durable and have the good stretch. They help to keep knees warm while exercising. Provide support and more stable. Feel restricting, but is needed when doing squats. Best equipment for your knees. This pair is great for running, but can also be used for lifting and squats. This knee sleeve is unique. It offers pockets to put ice into the sleeve once your workout is completed, or whenever you’d like to add the ice. This helps with the recovery after the workout. This will aid with swelling and reduce the inflammation that the heat and sweating can cause with other sleeves. It is best to order your size, but maybe even order a size larger just in case. The best knee sleeves often come in two different widths: 5mm and 7mm. Different widths mean different support is provided. For maximum support, it is best to look for a thicker width (7mm). If you need less support go with the 5mm. The 7mm offers maximum support and maximum warmth for the patella and joints around it. The first question that comes to mind is why is warmth significant? When a sauna is created around the joints, it helps keep the muscles warm between reps which help to decreases injury rates. For the more advanced weightlifter and athlete, the 7mm is a good choice. The 5mm provides above average support and also manages to keep the muscles and joints warm. Most of the best brands do not offer 5mm. 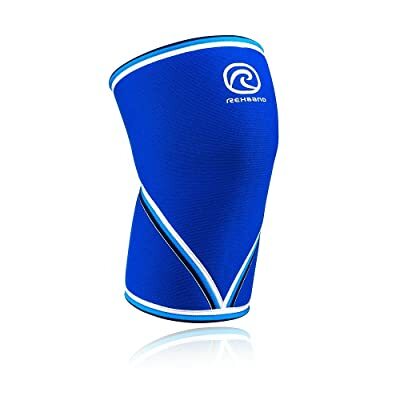 Choosing the best knee sleeve is easy if you know what to look for in a product. Once you have settled on the brand, then the next step is the width and length of the sleeve. As previously mentioned, it mostly comes in 5mm or 7mm widths. People usually choose a 7mm width which provides more options, but with more options comes more choices. If support is not as needed, then the 5mm will suffice. This will help to weed out all of the brands. The most controversial comment mentioned by those who use the sleeve for running, weight lifting, squats and so on is that they slip or slide down the knee. This could be due to the wrong size, or because of the additional sweat, they cause around the muscles. Some such as Rocktape guarantee that they do not slide, but it is very rare that even the best brands can ensure even a little slippage in the sleeve. There are other small controversies with the knee sleeves in general. Some weight lifters and power lifters still believe that knee wraps are far superior to the sleeves. They feel the support is not there as they are not able to make them as tight as they may want. So long as the directions are followed, then the sleeves should be tight and secure. Most believe that the sleeves offer an advantage as opposed to people who do not use them. The heavier the weight, the more use can be had out of the sleeves. Some power lifters do not believe the equipment adds any extra support or strength, but others notice a difference right away. There are no specific requirements to using the products. You should be active and be ready for training. As with most products, the more you use it, the better it feels and your performance is thus improved. Make sure you do not have any existing injuries. It is probably obvious that you should not be lifting heavy weights if they are injured. Make sure that when you begin lifting, or performing any high endurance activity, you are healthy. The sleeves are there to help prevent any injuries, but not necessarily used to make existing injuries any better or worse. To select the best product, you first need to measure around your knee to make sure you order the correct size in any of the knee sleeves. To measure correctly, it is suggested you gauge the circumference of your leg above you knee cap (about 2.5 inches). Depending on the brand the sizes vary. For Blitz their sizes run 10-12” is a small, 13-15” for a medium, 16-18” is large. Most who use the sleeves recommend you choose a size smaller for more security and less slippage. A snug sleeve is a right sleeve. After you picked the correct size, then choose the width that works best for your needs. Usually more support is better for lifting, but you may not need the extra support for running. Each activity is different so base it on the sport. For running perhaps chooses a 5mm, but for lifting choose a 7mm. The top brands are Rocktape, Blitz, Rehband and Nordic. Choose one of those four, and you will be guaranteed a stable and durable knee sleeve. An added note – make sure you pay attention when ordering. Some sites only sell per sleeve rather than as a pair. If you need two, which is usually preferred, read the details carefully when ordering. 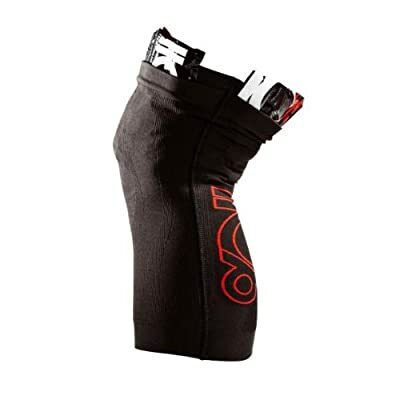 The winner of the best knee sleeves is Rocktape Knee Caps. The extra length and provides added support. Since Rocktape also provides two different widths for the same style also makes it the best knee sleeve. They are specially designed and more thought and detail seemed to go into these knee sleeves as compared to other best brands.